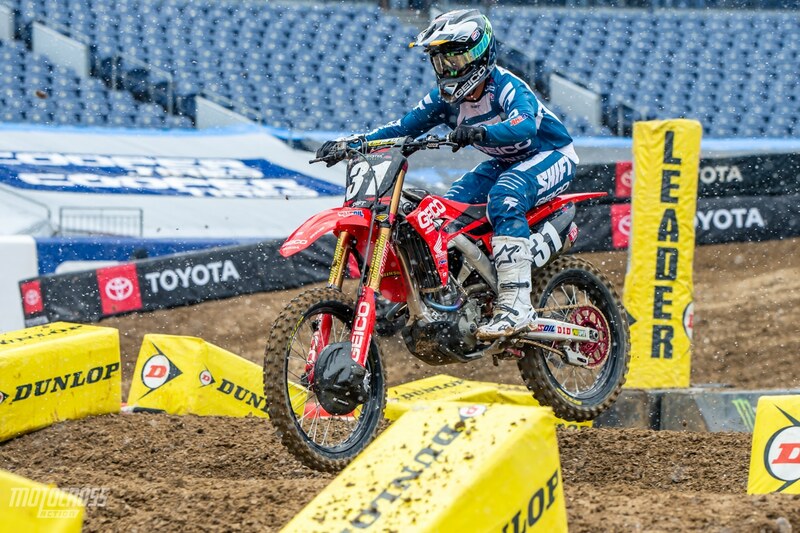 The 15th round of the 2019 Monster Energy Supercross season is underway in Denver, Colorado. The weather has been crazy all day in the mile high city. 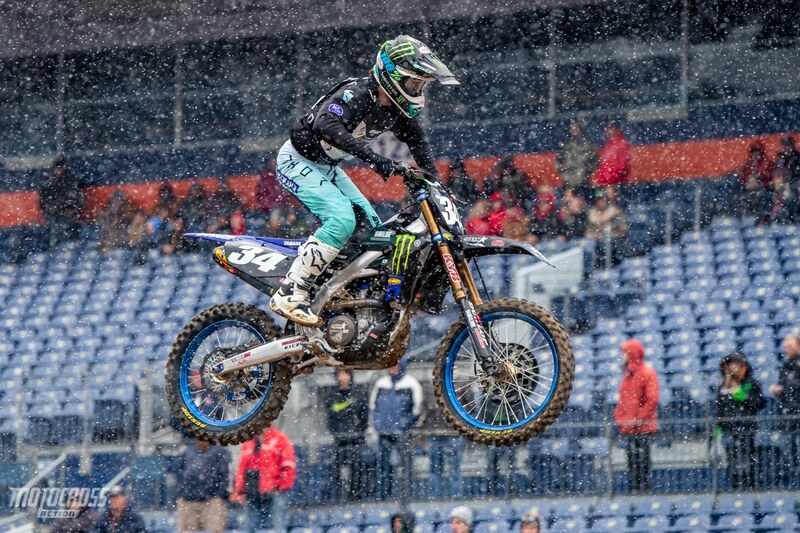 It started out with snow falling in the first qualifying session and then the sun came out and the track dried out quite a bit in the final timed qualifying session. After qualifying the Dirt Wurx crew groomed the entire track and watered it. So far it’s slick and greasy right now with wet dirt on top with a hard blue groove base. In the 250 main event it was Michael Mosiman who grabbed the holeshot and held on to the lead for multiple laps. 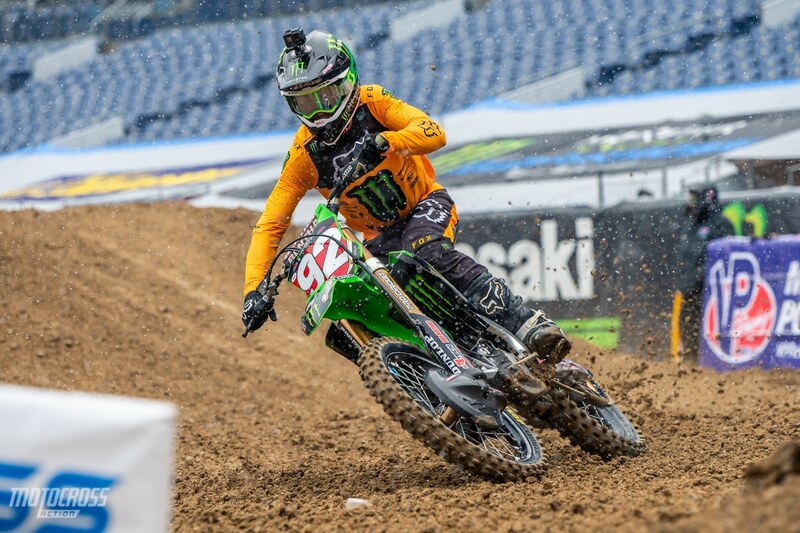 Adam Cianciarulo would get around Michael Mosiman but it wasn’t without a fight. Michael battled with Adam and passed him back momentarily before Adam got back around him. Then Dylan Ferrandis had to deal with Michael Mosiman, it took him a while to get around Michael but he eventually did. Colt Nichols got around Michael Mosiman and then Michael would eventually slide out and let Rj Hampshire by. 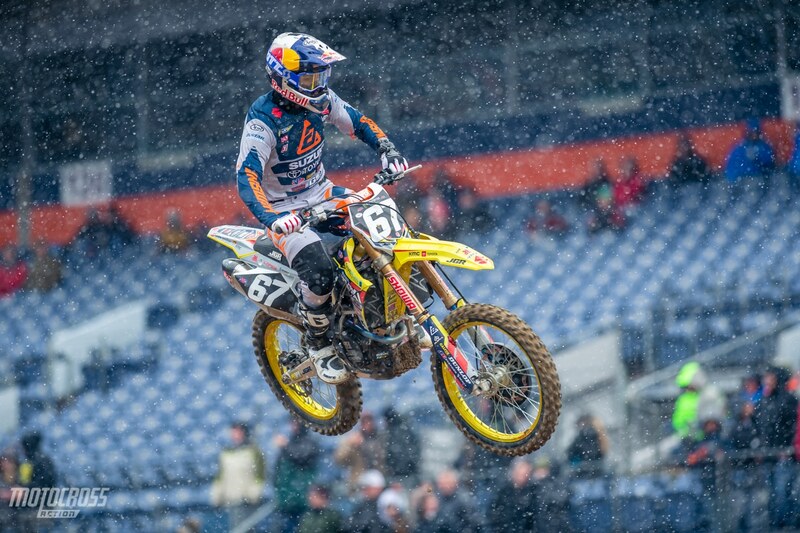 Click here for 250 point standings. Dylan Ferrandis finished second in the 250 main event. 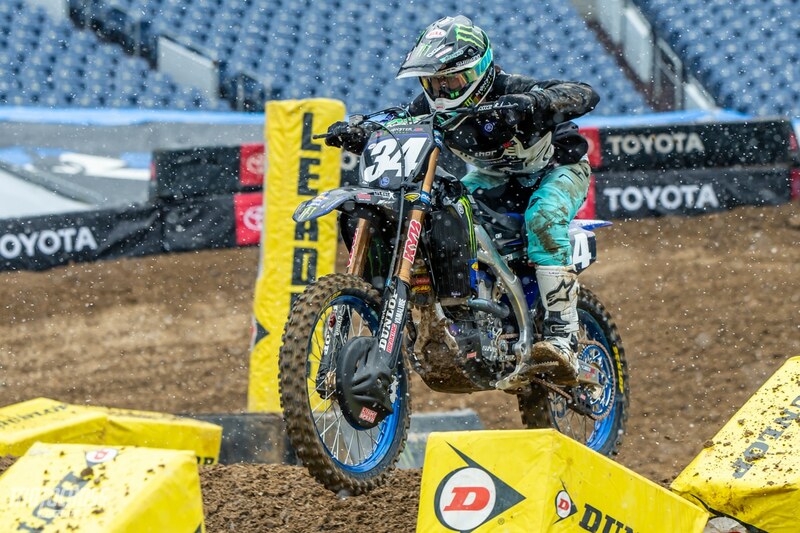 Michael Mosiman showed some serious speed by leading a few laps in Denver. After sliding out he eventually dropped back to fifth place. 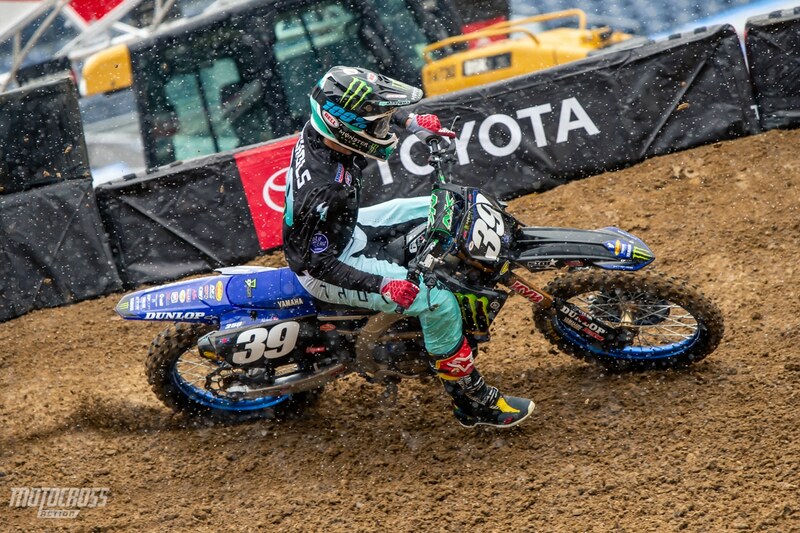 In the 250 LCQ Garrett Marchbanks grabbed the holeshot and he rode a smooth race to take the LCQ win. Chris Blose rode a solid race to finish second with Enzo Lopes and Blaine Silveira finishing third and fourth. 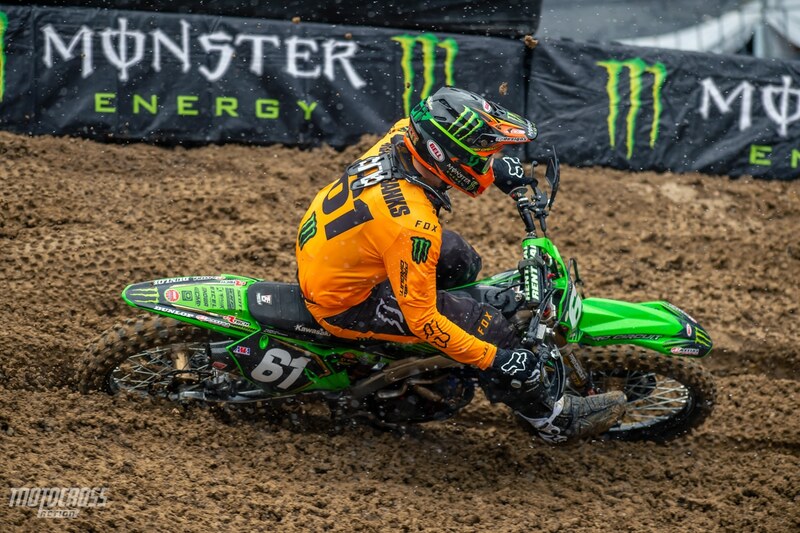 Garrett Marchbanks takes the win in the 250 LCQ after having a mechanical issue in his heat race. Chris Blose finished a close second in the 250 LCQ. 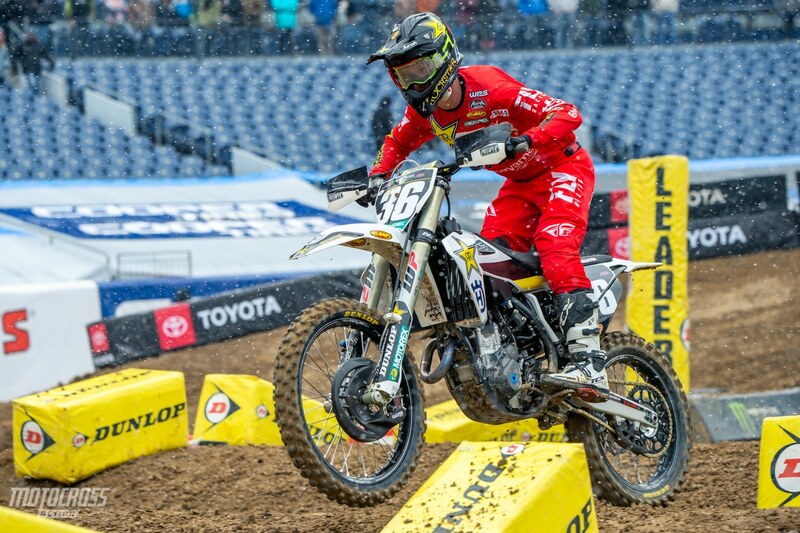 Enzo Lopes finished third and qualified into the main event on his JGR Suzuki. 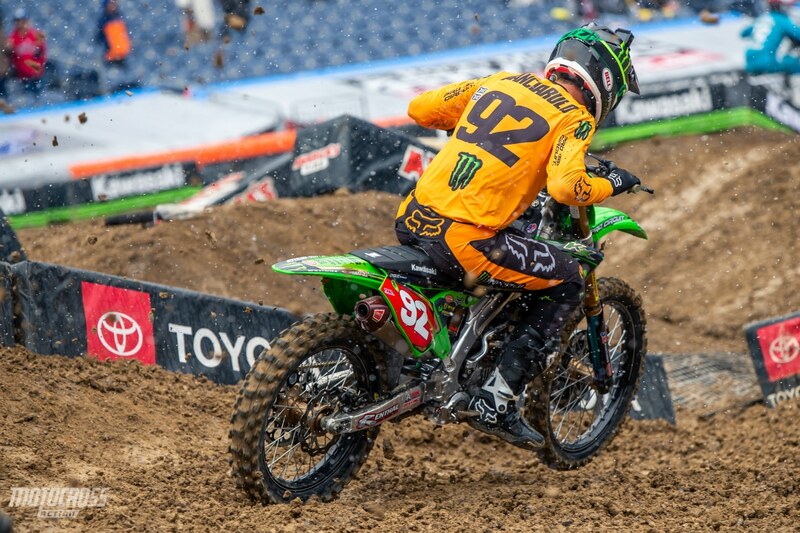 Adam Cianciarulo wins the second heat race in Denver. 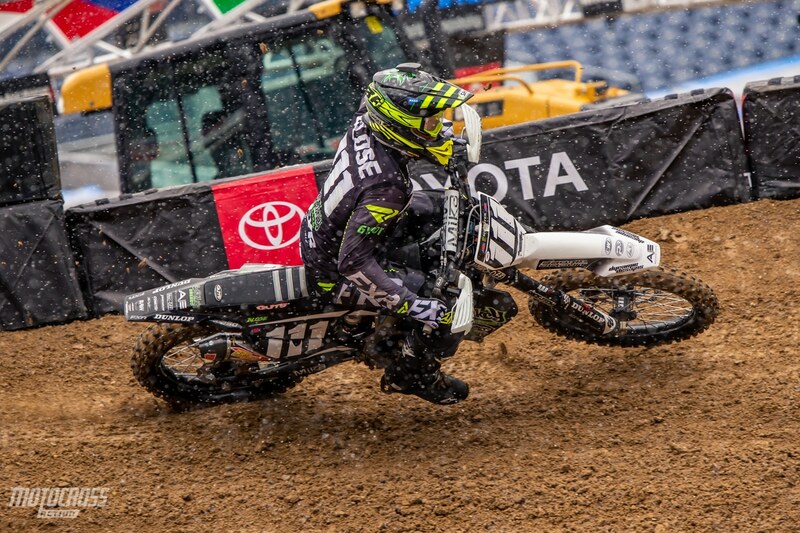 In the second 250 heat race it was Adam Cianciarulo who would ride a smooth race to take the heat win. Rj Hampshire held off a hard charging Dylan Ferrandis to place second and Michael Mosiman showed some great speed by finished fourth. Rj Hampshire held on strong to finish second. 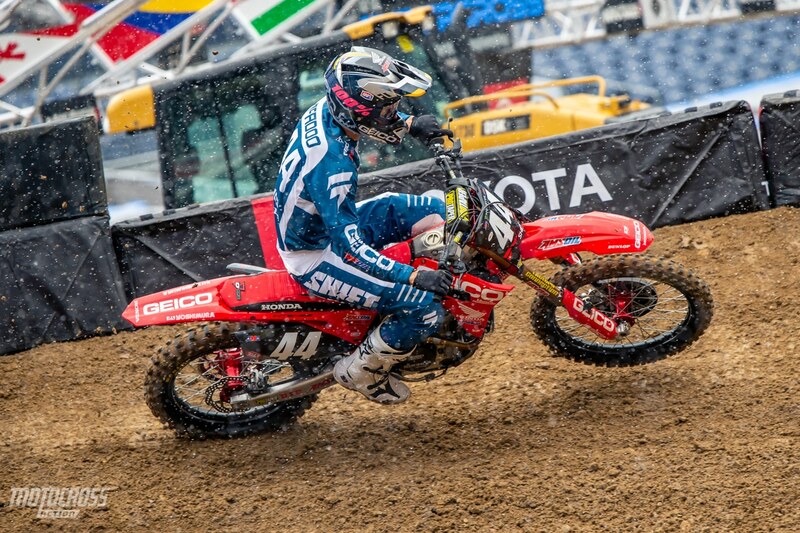 Dylan Ferrandis finished third in the second heat race. Michael Mosiman placed fourth in the second heat race. 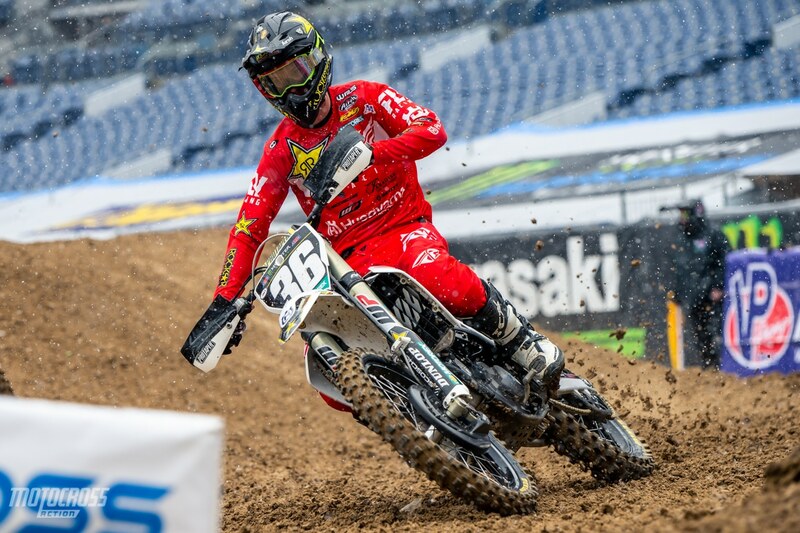 In the first heat race it was Cameron McAdoo who grabbed the holeshot, but after he made a mistake in the first rhythm section Colt Nichols was able to make the pass into the lead and take the win in the first heat race of the night. Colt Nichols wins the first heat race of the night.